Wholesome Organic Cane Sugar, 2lb. Wholesome Organic Powdered Sugar, 1lb. Wholesome Organic Raw Unfiltered Honey, 16oz. Bloom RAW Cinnamon Honey, 16oz. Bloom RAW White Clover Honey, 16oz. 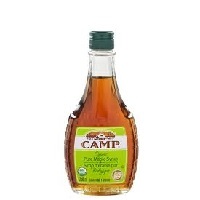 Simply Organic Vanilla Extract, 4oz. Wholesome Organic Molasses, 16 oz. Sunspire Organic Semi-Sweet Chocolate Chips, 9oz. Sunspire Peanut Butter Chips, 10oz. Lundberg Sweet Dreams Brown Rice Syrup, 21oz.